Make a Choice, Make it Work – A New Beginning. January is that time in the year when we look at our lives afresh. Long lists of speculations about the year that’s about to unveil, longer lists of resolutions, and even longer lists of dreams that we wish might come true, adorn every corner of our minds. Whether it all comes true or not, ‘change’ is a constant that will keep knocking at life’s every turn. So when that happens, do you ‘take charge of the change, or does change take charge’ of you? Give the leader in you a moment to think this one out. Most often, change creeps in unexpectedly, knocking us completely shattered. For this very reason, a change is regarded with much apprehension and unease. It’s important to recognize and realize the reason that makes a change very difficult. 3) Aligning with the new ways. Accepting and aligning yourself with change might not be easy. At the same time, it’s not hard either. Instead of resisting, try to embrace and understand the change, to make the most of it. How will others handle changes? Accepting change without people around you doing the same, can only lead to further let down. Sooner or later they might get the garb of it, and assume that it will go away or they will adjust to it, but it’s discouraging when neither of it happens. Each individual is different with their own needs and preferences. Look carefully into your motives and the final benefits you aim to reap out of your actions. Talk your reasons out, and try to make a joint decision. 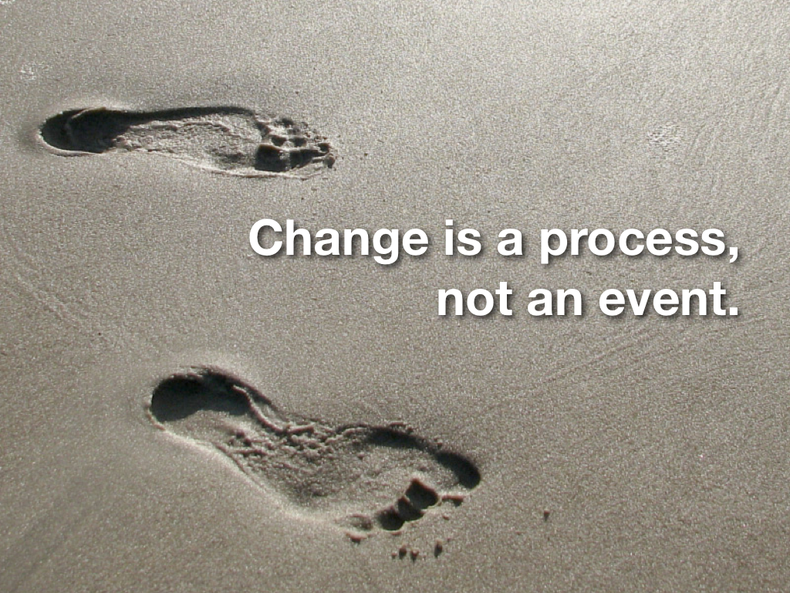 It is important to understand the relationship between change and transition. 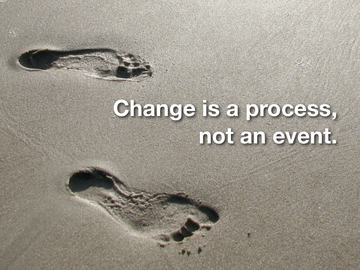 Transition, as is widely believed, is not a natural byproduct of change. A sudden change in circumstance doesn’t mean that all might support it. You might have had to face stiff oppositions. In order to ensure a positive transition, it is important to take charge of the changeover involved with strong and good transition strategies. Foreseeing and developing strategies to move through the stages of transition will ensure a smooth ride for you as well as all involved. Talk to your family about your choices, why you want them, your career plan, vision and dream. When there’s resistance recognize what people around you are missing in the transition and help them deal with it. “Taking charge of the change, and not letting it take charge of you is one of the biggest leadership challenges you will face”, says Ms. Wirtz. Women from all walks of life go through this transition stage at least once in their lifetime. The difference between the one who lives her dream and the one who doesn’t is in the choices made and also, the courage to make one, for “Every woman who makes a choice and makes it work for her is a SHERO”. May this New Year mark a ‘New Beginning’. Make a Choice, and Make it Work!